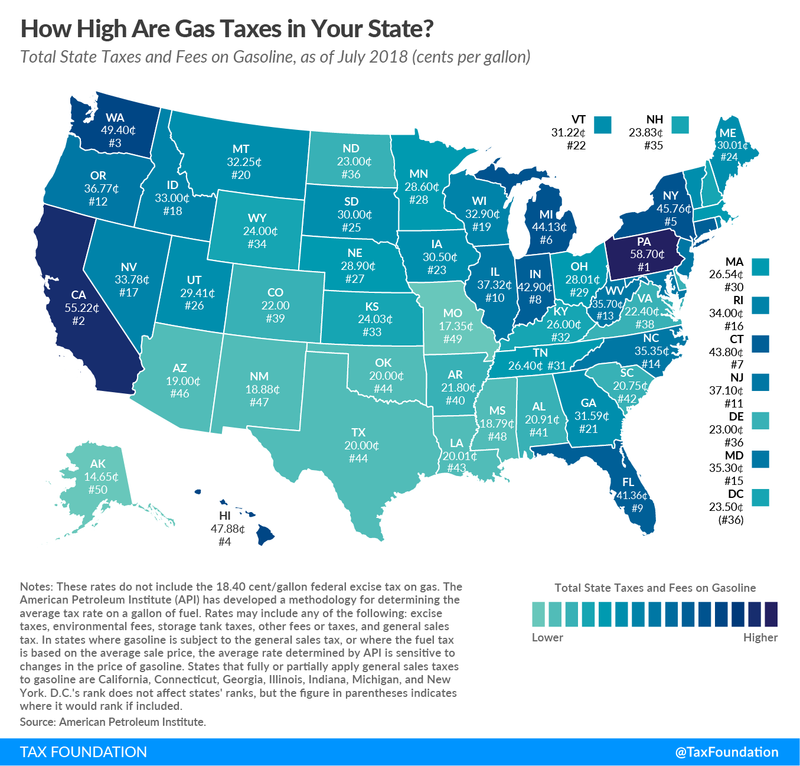 Today’s map shows gasoline tax rates in each state as of July 2018, using recently released data from the American Petroleum Institute. States levy gas taxes in a variety of ways, including per-gallon excise taxes collected at the pump, excise taxes imposed on wholesalers and passed along to consumers in the form of higher prices, and sales taxes that apply to the purchase of gasoline. The American Petroleum Institute has developed a methodology to account for these different approaches and calculate the average tax rate on a gallon of gasoline in each state. These rates vary widely from state to state and are shown in the map below. Pennsylvania’s gas tax rate is highest at 58.7 cents per gallon, followed by California (55.22 cpg) and Washington (49.4 cpg). The lowest gas tax rate is found in Alaska at 14.65 cents per gallon, followed by Missouri (17.35 cpg) and Mississippi (18.79). 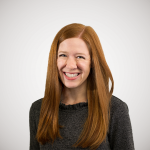 While gas taxes tend to be politically unpopular, they are a relatively good embodiment of the “benefit principle,” or the idea in public finance that the taxes a person pays should relate to the benefits received. In general, drivers benefit from the government services that are funded by their gas tax dollars, including road construction, maintenance, and repair. By connecting the costs of road upkeep with the act of driving, gas taxes incentivize efficient road use, which helps mitigate congestion and wear and tear attributable to overuse. Because they adhere to the benefit principle, gas taxes and other user taxes and fees are the revenue tools most suitable for generating the funds needed to maintain and repair public roads over time. One of the primary issues with federal and state gas taxes, however, is that they are not indexed for inflation, meaning the nominal value of revenue generated from the gas tax isn’t keeping pace with infrastructure funding needs across the country. Indexing gas taxes for inflation is one of the most important actions states can take to create a more stable source of revenue to fund infrastructure maintenance and repair needs for years to come, and to avoid leaning on less suitable taxes to maintain roads and bridges.